Cantex Molded end bell of trade size 2-inches, is suitable for use in concrete vault walls to provide a smooth, safe entrance to the conduit outside. 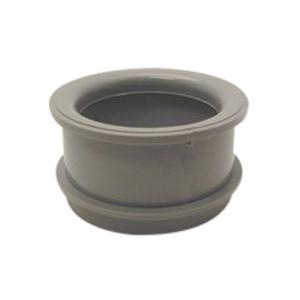 Schedule 40 end bell in gray color, features PVC construction. It measures 2.063-Inch ID x 2.813-Inch OD x 1.563-Inch. End bell UL listed, CSA certified and meets NEMA standards.